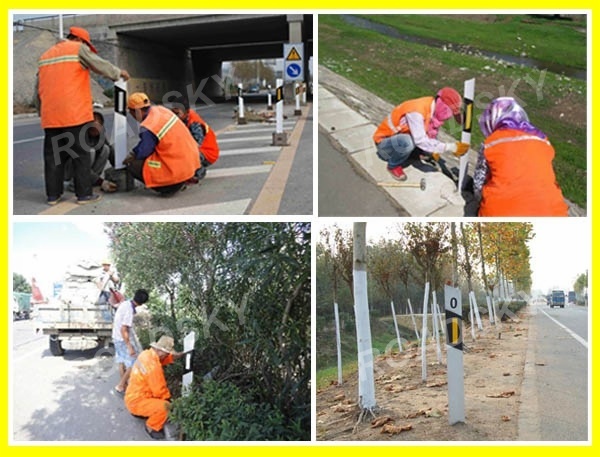 Post Delineators will reduce the rate of traffic accident and contribute greatly towards your safety. Benefits of using post delineators include: increased driver visibility, alertness and awareness of potential hazards along with better lateral vehicle positioning, etc. 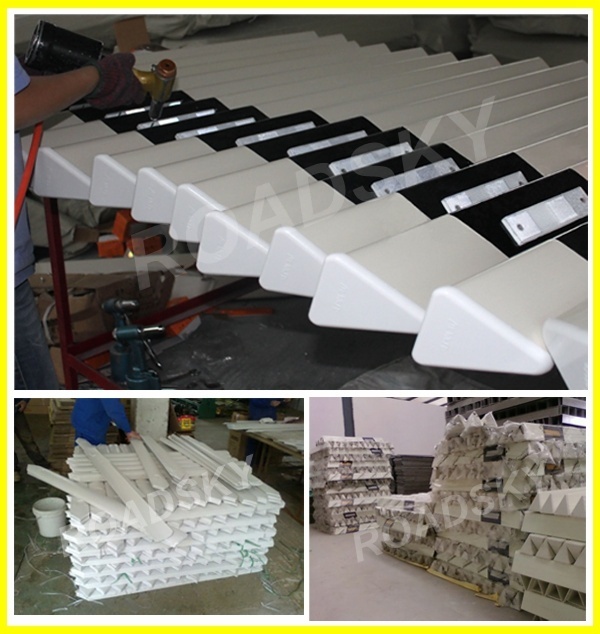 PVC is one of the common materials among the post delineator. Usually, its size is 100*120*1250 mm. And different sizes are available. 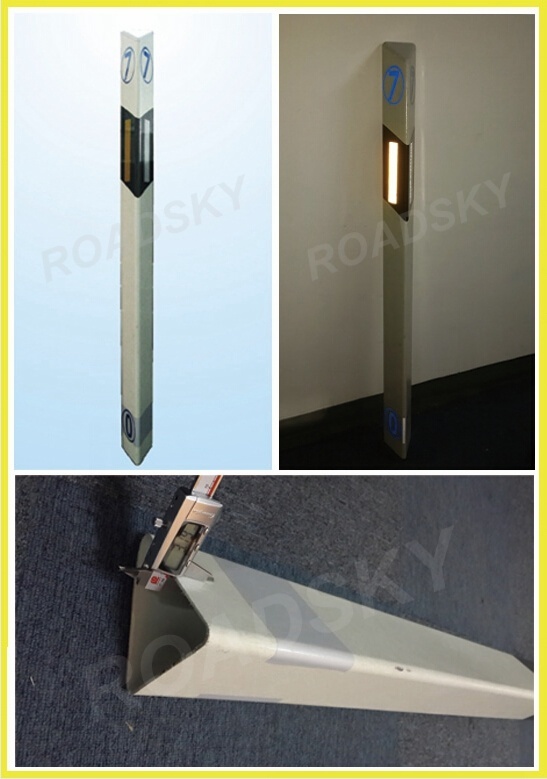 The difference between steel post delineator and pvc delineator is the thickness and model of the reflector. 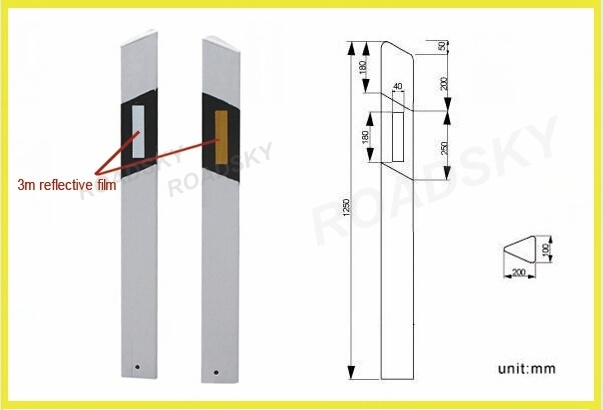 The thickness of steel post delineator is 1.5mm. Its reflective model is the 3m reflective film. 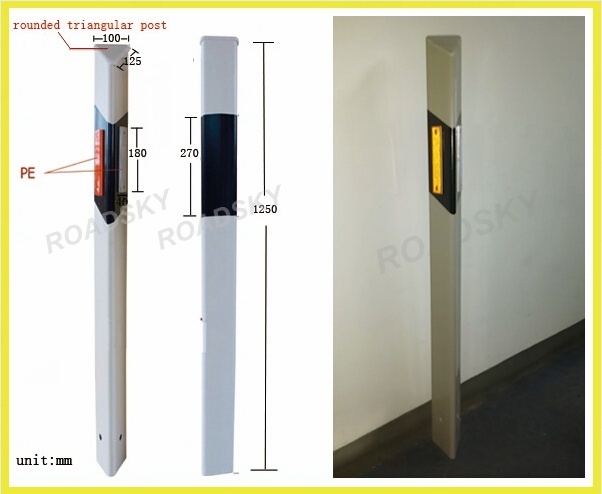 The weight of ERP post delineator is lighter than others. And it can resist corrosion. Its reflective model also is the 3m reflective film. 1. Delineator posts are made from PVC, steel and FRP. 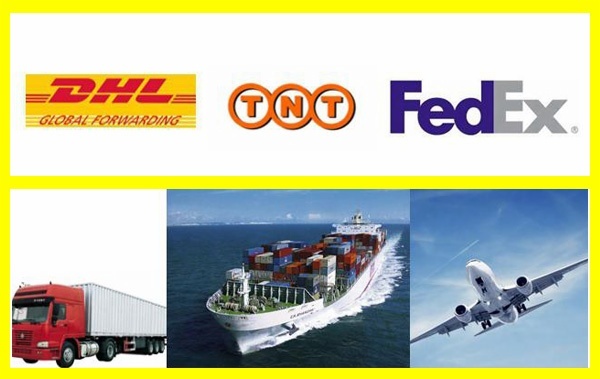 Among them, Sheet delineator posts have excellent flexibility and high impact resistance. 2. 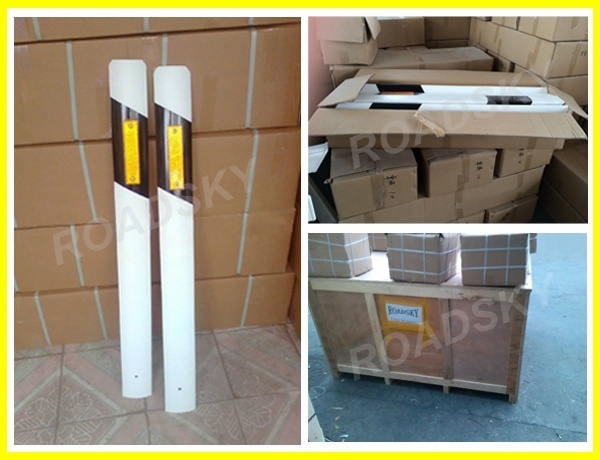 Delineator posts are available in a variety of lengths such as 1250*100*120mm, 1250*125*125mm, etc. And variety colors like white, yellow, red, etc. 3. The flexible PVC delineator posts can work normally in bad weather such as rain and ice. 4. 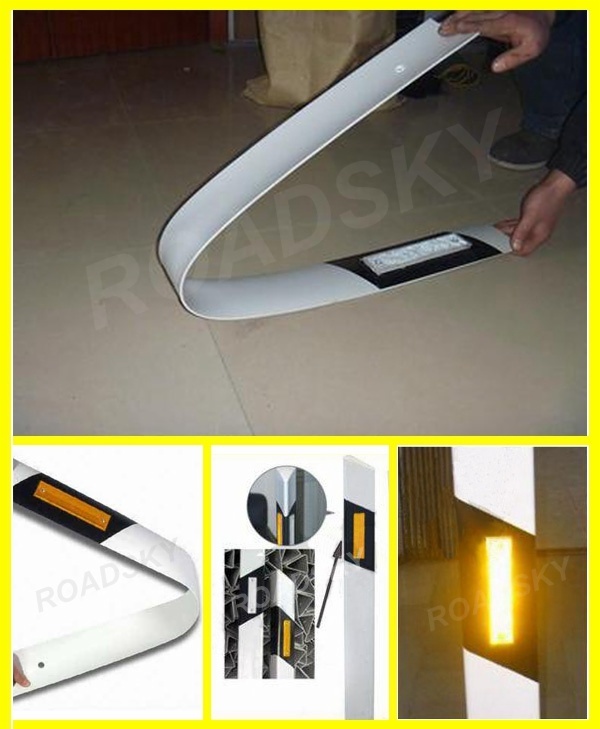 The reflector can be 3M reflective film, PE reflector and PMMA reflector. PE and PMMA Reflectors of the delineator post are firmly stuck on the bracket by rivets. 3M Reflective film of the delineator post is also stuck onto the bracket firmly. 5. The PVC Delineator has the characteristics of UV resistance, which ensures longer service life. 6. The flexible delineator post will spring back after been great impacted. 7. 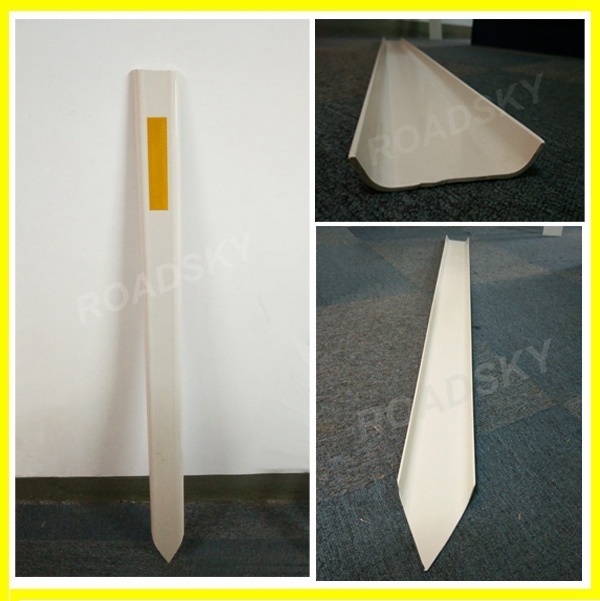 High visibility delineator is necessary marks for highways, ramps, curves, boundary lines, parking lots and etc. Payment: T/T, L/C, D/A, D/P, Western Union, MoneyGram, Paypal, Escrow and etc. 1. 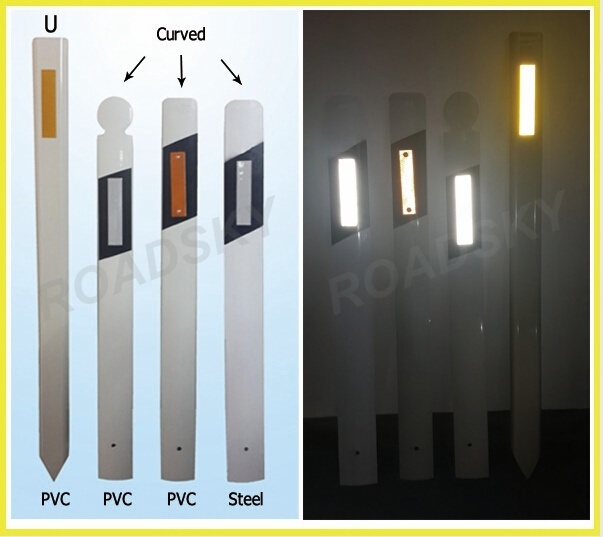 Post Delineator is installed along the road side to indicate the direction of road, increase the road safety by its reflective performance. 2. 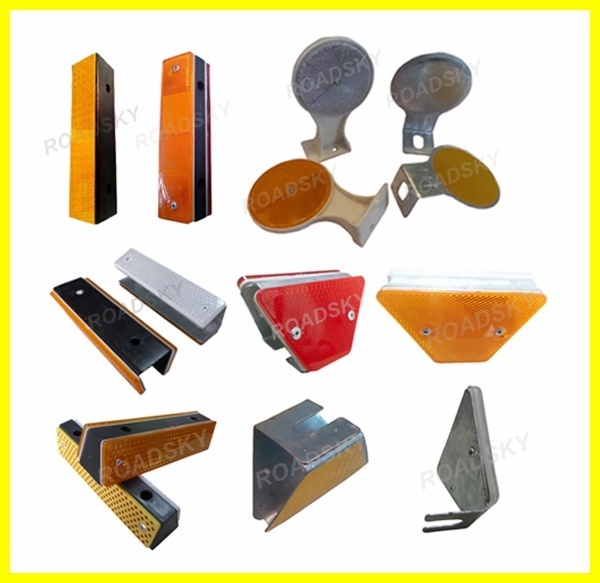 It is widely used as a safe sign for road, tunnel, bridge, circular road and etc. which can be fast fixed on the roadside as warning role. 3. The delineator has excellent reflective performance in the night, which increases the drivers’ awareness and lead the drivers driving correctly, especially in curved place, mountainous road and curved area, thus greatly reducing traffic accidents. 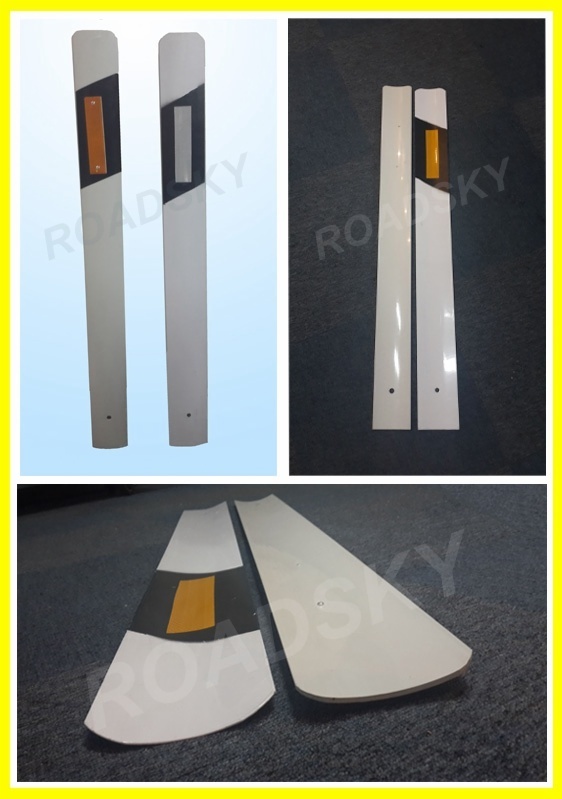 Any interests about these flexible delineator post, please feel free to send us inquiry or call us directly, we will be there to serve your needs timely. 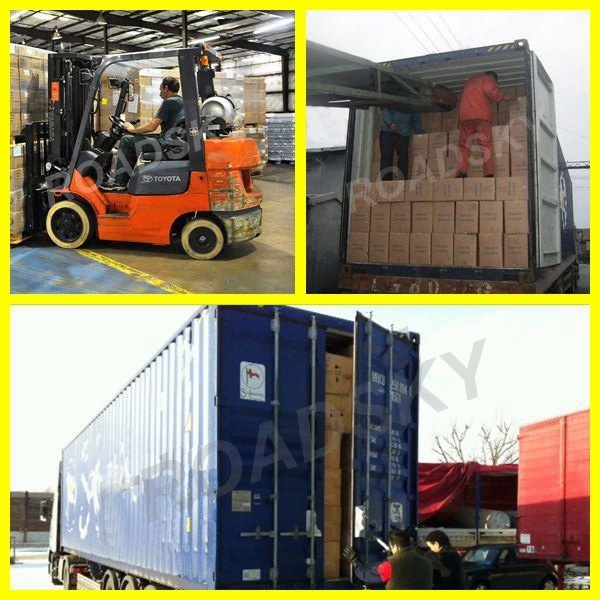 Sincerely hope to establish good business relations with you, our distinguished client !